Sometimes time and energy seems inversely proportional to the work done. We all have experienced it – unfinished projects pile up while your creativity and desire to tackle them are carelessly hiding in a top secret place, sipping on cocktails and refusing to come back. Productivity is not about working harder, but working smarter. You can only spend a certain number of sleepless nights before figuring out that this is not improving your writing results. What you need is a simple old-fashioned calendar. Allocate work hours in it; write down your projects’ deadlines and everything in-between. Once you have it all written down and nicely scheduled, it will be easier to focus on your different projects at defined times. To-Do lists can be useful but also overwhelming. If your list is not organized by priorities and deadlines, instead of helping you take care of tasks more effectively, it will only make you feel confused and frustrated. Sitting down to write often requires willpower. If you create a steady writing routine, you will no longer need to wait for inspiration to hit or struggle with beginning. Writing will become a habit. Think of what makes you dive into the writing flow – having cup of coffee or maybe walking your dog first. Whatever it is – turn it into a daily ritual. 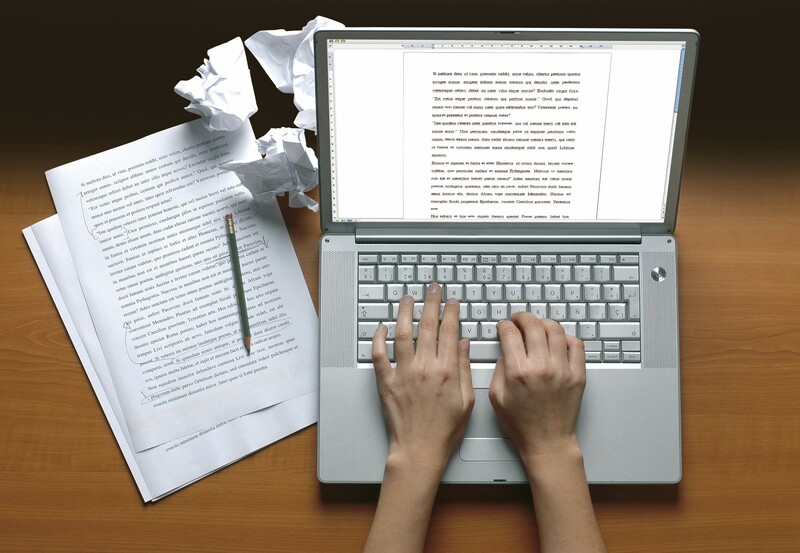 This way you will train your brain to switch to writing mode faster and more effectively. This is connected to the previous tip – once you have a daily writing routine set, you will want to stick to it. Forming the habit of writing regularly improves your skills and requires much less discipline and determination. That’s why, even if you are currently free, sit down and write. It may be a simple draft or arranging various ideas on a topic you recently found interesting. Or you could update your portfolio. Anything – as long as you don’t let your new habit slip away. Often ideas for new articles or projects come up to us out of nowhere. Have a notebook with you at all times to write those down. Take the time to look through and arrange your notes. Sometimes the most brilliant pieces come to life when different topics are combined. Often we struggle with writing because the project ahead seems too big and complicated. No matter whether it’s writing a book or a just a book reviews – it may seem equally daunting if you don’t know how to begin. Make a mind map of your main points and you will have a much easier time handling it. You can begin with the ending if you want to. Lots of things require a base to build on. Luckily, writing is not one of them. It’s a good idea to organize and keep your research for every project you work on. Often we come across materials that are not immediately useful but would be great for a different job. You may want to bookmark your research into topic folders or use a different system. OneNote and Evernote are also quite convenient programs, for example. Perfectionism could be quite exhausting. If you revise and refine every single word while writing, your smooth line of thinking may escape. Write everything down first and polish it later. You could also use a spell checking editor online. In a perfect world, once you get all energized and inspired to write, everything else will seize to exist until you are done working. Realistically, that’s never the case. Very often your work on a project will involve less writing and more communication with clients, as well as other distractions. It’s pointless to let those annoy you. Include them in your schedule. Give yourself an extra hour for interruptions. Allocate those at times when you feel least creative, if you can. You can only truly focus a limited amount of time. It is not productive (or healthy) to force yourself further. Take frequent breaks to have a cup of tea or simply spend 5 minutes outside getting some fresh air. This way you will preserve your energy and use it better. It may initially sound far from writing, but exercise is actually one of the best things you can do for your writing. Sports will keep your brain well supplied with oxygen and more capable of creative and productive work. Shortcuts can save you tons of time. Consider using writing prompts or checklists, for example. Use those when you arrange your ideas and when you edit your finished material. Modestly put, the original idea of Edward de Bono’s six thinking hats was to separate logic from emotions, imagination from information. Using his system for effective thinking will definitely sparkle your resourcefulness and efficiency. Don’t forget your ultimate goal – to help or entertain a specific audience. Give that audience a face and converse with them: what does he (or she) need and hope to achieve? Direct your writing to that person – not to a faceless mass – and you will focus more easily. At the end of the day, you may have done a lot more than you have on your To-Do list. It’s worthwhile and motivating to acknowledge that. This is where the “Ta-Da!” list hops in. Write down everything you accomplished, mark your progress and plan for the next steps. Julie Petersen is a young blogger and writer, who features the latest blogging and writing trends in her articles. At present time she works at Essaymama writing service as a writing consultant and a blog editor. You may see her publications and contact her via Linkedin. I would rely on this opinion.